We’d love your help. Let us know what’s wrong with this preview of The Buried Few by M.J. Lau. Daniel Allingham is taking a stand against a society that cares so much for their safety, they are willing to give up their children. In the near future, America has engaged in a series of over-reaching wars that decimated the adult population. Most children – Daniel included – have lost their parents to combat, or the trauma they bring home with them. Orphans and foster c Daniel Allingham is taking a stand against a society that cares so much for their safety, they are willing to give up their children. In the near future, America has engaged in a series of over-reaching wars that decimated the adult population. Most children – Daniel included – have lost their parents to combat, or the trauma they bring home with them. Orphans and foster children become the new normal. As a college student, Daniel fought for the protection of children, demanding that all parents be screened and licensed so this generation of shattered youth has the best chance of being raised by a stable family. But it all went wrong. Society took the crusade for better families to an unanticipated extreme: existing children must be adopted first, meaning any new children face deportation – or destruction. So when Daniel, now a computer security specialist, finds an infant abandoned in a San Francisco park, what option does he really have? With a great deal of help from those he cares about, and a fair dose of technical wizardry, Daniel risks it all to secure a better future for at least this one child. The Buried Few is a dystopian science fiction novel with echoes of A Brave New World, The Handmaid’s Tale, and The Giver. Unlike most dystopias, which involve a corrupt and authoritarian government subjugating its people, The Buried Few explores the possible dangers of a populace demanding more and more protections from the government, and realizing too late the price. While the action is cinematic, the characters are still carefully rendered, from Daniel’s feisty ex, Renee Martinez, to the relentless government agent, Detroit Gozzum. 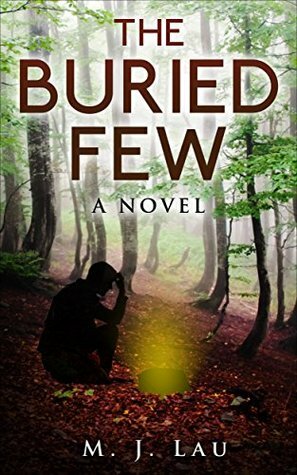 If you enjoy novels that are thought-provoking yet suspenseful, look no farther – buy The Buried Few and see what fate is in store for Daniel, his friends, and a helpless child whose very existence depends upon whose hands he ultimately lands in. To ask other readers questions about The Buried Few, please sign up. The Buried Few is the kind of story that sticks to your mind, moves around with you all day, leaves you with more questions than answers and makes you question the very ethics you live by. People clamour for rights. They want the right to decide when to end a person’s life, decide when a person is born, decide whether they should be born at all… When we want and demand so much, one day we wake up to the dangerous world of ‘The Buried Few’. A world where you can choose to be Creators or Guardians, The Buried Few is the kind of story that sticks to your mind, moves around with you all day, leaves you with more questions than answers and makes you question the very ethics you live by. People clamour for rights. They want the right to decide when to end a person’s life, decide when a person is born, decide whether they should be born at all… When we want and demand so much, one day we wake up to the dangerous world of ‘The Buried Few’. A world where you can choose to be Creators or Guardians, surrogates are paid and pregnancy is a shame. And keeping an unregistered child is a crime that has dire consequences. Set in a future America when the government decides which children survive and who are the best parents for a child, whether they are the biological parents or not, and everything is linked up with technology and artificial intelligence, the story paints a believable imminent picture. The book details the dilemma of those tasked with the difficult work of separating children and parents, placing those with perfect matches for parents and destroying those who can’t find homes. And there is an Underground world fighting the government to give victory from the system for a few. Will that victory count for the child Daniel finds buried in the ground? Will the discovery wreck his life and the tumultuous relationship with Renee? The book is long and the start drags a bit, but believe me, packed in that long book is a story you wouldn’t want to miss. The end doesn’t do justice to the expectation raised. It is somewhat hurried, somewhat vague, especially for the happily-ever-after romantics like me (Sigh). I love Assistant Director Detroit Gozzum – not because he is a tall African, but because his character stands out – consistent, persistent, intelligent and fearless. He eclipses them all. The author introduces so many characters from different parts of the world at the right part of the story and vilifies none. Very admirable. I also love how people’s emotions are explored in depth. It tears the veil of fiction and drags the reader into that dreadful world which could be a reality someday. Parenting Issues in a Dystopian Future. Daniel and Renee are a couple divided. Daniel is a Creator. He is allowed to father children. Renee wanted to be a Guardian and be allowed to raise them, but because Daniel became a Creator, she can't now fulfill that dream. You have to choose. In this crazy future, you can't do both. The Daniel finds a baby abandoned in the park and suddenly things seem possible that Parenting Issues in a Dystopian Future. Daniel and Renee are a couple divided. Daniel is a Creator. He is allowed to father children. Renee wanted to be a Guardian and be allowed to raise them, but because Daniel became a Creator, she can't now fulfill that dream. You have to choose. In this crazy future, you can't do both. The Daniel finds a baby abandoned in the park and suddenly things seem possible that were never possible before. This is a child with no registered Creator and no listed Guardian to go to. The Author has created a social dystopia - a tale of a nation that no longer trusts it's people and a people that no longer trust each other - to raise the next generation. The consequences for each family, for those tasked with administering the bizarre laws and the individual children caught up in it all. By showing how badly those who are 'approved parents' can behave the entire issue of 'who makes a good parent?' is thrown up in the air and ultimately inverted. "We 're all freedoming ourselves into slavery." This book is wonderfully written and as a reader, you are drawn in and care about Daniel and his problems. The author takes time to cameo characters we meet and share their individual experiences and perspectives. It'space is slow, but then it is a very long book and you are expected to follow the thoughts and aspirations of many characters. The changes in the world are explained by the War and its impact on the collective psyche of humanity. It was maybe a third longer than it needed to be to make it a good read. I would have been very happy if the Epilogue had not been there as well. This had two causes: the exploration of so many characters points of view and the philosophical and political internal monologues and external debates, which some people might find the making of the book but I felt was overdone. I wanted to progress the plot not find out what another character who was not really that significant to the overall events, thought about what they were doing with their life or read a rather preachy debate between two people on the rightness/wrongness of the way that things were set up. "That doesn't mean we just forbid birth parents to raise their own kids. if they aren't quote-unquote qualified, why not educate them?" My biggest stumbling block was the very premise that the book was based on. Thanks to a War leading to lots of parents with PTSD the government decided to restrict parenthood. I could just about buy into that. But I could not buy into the next step of saying people had to choose to either be parents biologically or parents socially as the reasons given were so tenuous and weak, in my view, that no one would have agreed with them. Which made it hard for me to run with the rest of the story. If you enjoy a book which tackles some profound questions around power, its use and abuse and the way parenting is viewed and should be viewed in society, expressed in well written fictional terms, then you will really enjoy this book. I thoroughly enjoyed this book. I do believe it was a little too long yet the story does warrant the length. The premise for the book is really not that far fetched in my opinion. I do have a rather jaded view of government in general so I could quite honestly see everything in this book coming to reality. I truly could see a state where we were simply "creators" and "guardians" of the next generation- where we had no control over our own wishes to pro-create and raise our children, although thi I thoroughly enjoyed this book. I do believe it was a little too long yet the story does warrant the length. The premise for the book is really not that far fetched in my opinion. I do have a rather jaded view of government in general so I could quite honestly see everything in this book coming to reality. I truly could see a state where we were simply "creators" and "guardians" of the next generation- where we had no control over our own wishes to pro-create and raise our children, although this book does not take the circumstance quite that far. The book is well written and fast-paced, it possesses a quality that draws one in and does not let you put it down. You simply need to know what happens next- right now. A trait that is not seen from a lot of authors today. The Buried Few is the debut novel by M.J. Lau, and I found it quite enjoyable. The pace was steady, storyline intriguing and the overall prose well-written. It's set in a near-future society where the idea of privacy is extinct. Technology is now more advanced. The government knows where you are, what route you take to get home, and they oversee every child born for the rest of their lives. When Daniel Allingham finds a live baby buried, he takes the infant to the hospital (although it's not a m The Buried Few is the debut novel by M.J. Lau, and I found it quite enjoyable. The pace was steady, storyline intriguing and the overall prose well-written. It's set in a near-future society where the idea of privacy is extinct. Technology is now more advanced. The government knows where you are, what route you take to get home, and they oversee every child born for the rest of their lives. When Daniel Allingham finds a live baby buried, he takes the infant to the hospital (although it's not a maternity hospital) with hopes of doing a good thing and washing his hands clean. Nonetheless, he soon finds himself struggling against the right thing and becoming entwined with a persistent government agent. It took about three chapters for me to really get into the book. It starts off with the prologue some times in the distant past, then in chapter one, jumps to the present time. As we're being introduced to the main characters, it hops from the present to the near past. The only way we know whether we're in the present or the past is by the situation or the characters in the scenes. This made it a tad confusing to me; however, once I got a handle on the author's writing style (and it didn't take long at all), it was easy reading. The only thing that would take me away from reading was the amount of adverbs in the story. There just seemed to be so many, it annoyed me. It doesn't bother a lot of readers; however, it had become somewhat of a pet peeve of mine. About half of the adverbs in the prose could have been used in a way to show, rather than tell, all the more. In the near future marriage, birth, and child rearing are regulated. Pregnancy is allowed only by governmental permission, and biological parents are required to surrender their children for adoption to ensure the best possible parenting. Any attempt to keep an unregistered infant can ruin one's future. So what would you do if you found a live baby in a hole in the ground? Daniel has a choice. Leave it and not get involved, report it to the nearest hospital and authorities, or keep it as his own In the near future marriage, birth, and child rearing are regulated. Pregnancy is allowed only by governmental permission, and biological parents are required to surrender their children for adoption to ensure the best possible parenting. Any attempt to keep an unregistered infant can ruin one's future. So what would you do if you found a live baby in a hole in the ground? Daniel has a choice. Leave it and not get involved, report it to the nearest hospital and authorities, or keep it as his own and risk being accused of baby trafficking. Renee and Daniel have a stormy relationship, but they are intent on one thing, keeping an infant that was born illegally, even though it might earn them a prison sentence. The novel plunges us into the depths and doesn't let us go, until the end. The writing has tension, humor, tragedy, and some surprising twists. Description is imaginative, except for an occasional trite expression. Somehow that may be intentional as we note comparisons between past and present. Point of view slips in and out of various heads, but this creates no problem for the reader. Main characters are round instead of flat. We see their pain and joy. And even though some are at odds, we see, not evil people, but individuals committed to their beliefs. At times, Lau needs to remind the reader about a situation or an individual, in order to avoid confusion. So how did society reach this parenting situation, which many embrace with joy but others mourn as a ludicrous loss of parental rights? The rules involving procreation are so strict. This story is an example of how it impacts the legally pregnant, the adoptive family, the biological parents, and the investigator who must sort everyone out. Eventually we realize this is more than a story. This is a warning. Lau points to a violent history and how people, even now, welcome the creeping take-over of their freedoms. For example, we do business on the computer, where companies gather algorithms of behavior. This allows them to target us with offers we like, and we accept that because it's convenient, never thinking of how our privacy is invaded and the possible consequences. And so we are bribed into losing another inch of our freedoms until the inches grow into yards and finally miles. The story's ending is thoughtful and unexpected. It ends with pain, joy, and mystery. And it stays with you. A worthwhile and exciting read. The Buried Few is an unusual novel in many regards, and definitely an interesting read. Boldly set a mere 20 years from the present, it sets the stage of a dystopian society that has emerged from a devastating conflict which has wiped out most of the adult population of the United States, and rendered most of the surviving veterans deemed unfit to raise their own children. In light of this situation, the state has taken to policing parenting, and adoption is the norm now. In this environment of The Buried Few is an unusual novel in many regards, and definitely an interesting read. Boldly set a mere 20 years from the present, it sets the stage of a dystopian society that has emerged from a devastating conflict which has wiped out most of the adult population of the United States, and rendered most of the surviving veterans deemed unfit to raise their own children. In light of this situation, the state has taken to policing parenting, and adoption is the norm now. In this environment of "Big Brother" surveillance, the story's protagonist Daniel finds something utterly impossible on his way home from work one night: an infant boy buried just beneath the topsoil of a park. Much drama and crisis ensues as Daniel is forced to deal with the consequences of his discovery, his decisions made on how to deal with it, and the buried feelings and memories this discovery unearths from within him. This story stands out in the crowd by having very little to no immediately apparent continuity between chapters early on. You genuinely can't predict what to expect next as a result: the story might engage in a flashback next, perhaps deliver a highly formal dissertation on historical precedents concerning twins, or jump focus entirely to a new character and their struggles. The narrative keeps its primary focus throughout these style shifts, and builds upon the overall mythos as it does so, which allows the reader to keep up with the plot despite the regular disorientation. In a way, this helps the reader appreciate just how disoriented and out-of-sorts Daniel himself is during the events that transpire. I enjoyed this read very much, but there was a bit of a problem with the chapter formatting. The story really gets going when Dan, one of the MC's hears a child's muffled screams in the woods. I turns out the child had been buried alive, technically speaking. I'm a big one for giving away spoilers, so I have decided not go into the nitty gritty of the story. I will tell you this though, the story is very well written. You will be pulling in from the very first page. I recomme Good classic dystopia! The Buried Few is a fascinating dystopian tale set in a not too distant future where the government's regulation of parenting has become complete. Aided by technology that people willingly accept in their lives , and by the willing compliance of a generation that was raised by adoptive parents because their biological parents were too messed up by the wars, the government has complete control over who can have kids, who can raise them, and who will be considered "other" because they have no stak The Buried Few is a fascinating dystopian tale set in a not too distant future where the government's regulation of parenting has become complete. Aided by technology that people willingly accept in their lives , and by the willing compliance of a generation that was raised by adoptive parents because their biological parents were too messed up by the wars, the government has complete control over who can have kids, who can raise them, and who will be considered "other" because they have no stakes in the parenting game. Dystopia is all the rage now, but it's rarely done with any hint of good world-building, or even just thought. We're bombarded by so many dystopian stories that don't hold up to any kind of scrutiny. So I was pleasantly surprised to find that this book has, not just decent, but thoughtful, deep world-building. It's a fun action-packed page-turner filled with emotion and suspense and mystery, but it's also a thought-provoking reflection on society and the role of family. I wasn't completely gripped in chapter one - perhaps because I'm not very interested in reading about a male in college just going about his day and trying to get a date - but I am very glad I hung on past the first chapter because the story grows so much once the main character, Daniel. hears a baby crying in the forest. Immediately, we start to see just what kind of society he lives in as we're flung right into the action. And it just gets better and better as the story progresses, with more and more layers and characters being added on. I really started to love it when Agent Gozzum showed up and the main characters started acting on some of their ideas... the action really picked up after that point. Another thing I found interesting about it is that the story is filled with people of all kinds of different races, all intermingling in a very interesting way, each with their own different perspective which did include a dash of stereotypes about each other or ignorance about each other that felt realistic for the characters. The reason I gave it only four stars and not five is because there were a couple of nagging little things that I would have wanted more information about... I'm not a fan of the protest/flash mob scene near the start. I understand why it was there, to show us a key aspect of how society reached that level of government involvement, but I feel that by itself. without another example or two showing other key events it didn't quite convince me. The second minor issue I had was with another key scene in the middle where Agent Gozzum is doing some of his field work settling an adoption dispute. I felt as if we needed him to spell out some of his "discoveries" about the situation as they happened because it felt a bit vague and I got the sense that something important about the way their society is structured had been revealed, but I couldn't quite grasp it or be sure of it. I received an ARC to review this for Rosie Amber's Book Review Team, for which I have received no payment. The Buried Few is set in 2030, when wars have left many children in America without parents. Adults can be 'Creators', ie, give birth to children, which means being watched at all times, or 'Guardians': adoptive parents. There are many rules governing the status of the parent and their suitability. Unclaimed children face an uncertain future, to be shipped off to other countries where they may be adopted, or drift from orphanage to orphanage until adulthood. Daniel, a computer security specialist, has a broken relationship with Renee, as there are stumbling blocks about their parental future. He finds an abandoned baby he wants to keep as his own, which sets the couple down a difficult path as they come up against Gozzum, a government agent who has his own issues after a turbulent childhood. There was much I liked about this book, but I think it needs the hand of an experienced editor. The beginning was the weakest area and seemed disjointed; if I hadn't been reading it for the purpose of reviewing, I'd have abandoned it, which would have been a shame, because I soon began to like it much more. It starts with a long prologue told from the point of view of Raina, a small child, containing scenes from her imaginary world that had no bearing on the actual plot; to me, this was as pointless as detailed dream sequences, and not the stuff of which reader-hooking openings are made. Then the novel proper begins: we meet Daniel. We see him meeting Renee, then finding the abandoned baby. I found the first 15% confusing, with little explanation, so I could only guess at what was going on, though I enjoyed some excellent character cameos (feedback for author: Selah and J!). The 'world-building' continued to be sketchy, and it took until at least 30% before I was clear about the whole parent-child situation (and even then I wasn't quite sure). However, so much of the characterisation is extremely good, the dialogue is excellent, for the most part, and some passages I loved (feedback for author: the 'typical tale of heartbreak. Boy meets girl at flash mob', etc, and the backstory about Gozzum's father). There are many beautifully descriptive sentences, but maybe too many. Sometimes, they held up the plot. New characters are brought in at regular intervals, and there was a lot to keep in my head as it was not clear at first how they all linked up. I loved the story of Ten, a Native American, and I particularly liked M J Lau's ideas about the fate of her people. There are some good observations later on about how the government uses the internet to collect data about the population, how/why the population give it up willingly, and that if they have enough opportunity to 'vent' on social media, they are less likely to actually do anything about social injustices; so, so right, and enough said. Suffice to say that the author and I are singing from the same hymn sheet. To sum up: there is no doubt that M J Lau can write, but I think he needs to learn when less can be more. My opinion is that this is a good novel that could have been much better; it's all there, it just needs restructuring. Most novels are purely a diversion, a piece of entertainment, a trifle to allow you to escape into some story about larger than life characters and their heroic actions. When I was a kid, I used to read a lot of science fiction stories where the main point of the story wasn’t the characters or the action, but rather a question. I don’t see those stories much anymore. Maybe it’s me. Maybe I’m just not reading the right genres, but either way, THIS is one of those s Most novels are purely a diversion, a piece of entertainment, a trifle to allow you to escape into some story about larger than life characters and their heroic actions. When I was a kid, I used to read a lot of science fiction stories where the main point of the story wasn’t the characters or the action, but rather a question. I don’t see those stories much anymore. Maybe it’s me. Maybe I’m just not reading the right genres, but either way, THIS is one of those stories. This story imagines a future where a generation of parents came home from a horrible war and destroyed their kid’s lives because of PTSD. In that future, people demand a change, and the government enacts legislation that radically changes the whole paradigm of parenting. You have to pass a battery of tests, and you have to have a license. If you have a child, you probably won’t be the one raising it. That’s a genius idea for a story world. There are, unfortunately, problems with this particular story. There are a lot of unnecessary complications and surprises that don’t do anything to increase the impact of the story. The prose itself is inconsistent, with shifts from a deep POV to a narrative style. At times, the characters bludgeon you over the head with the message of their POV on the subject. The world seemed too much like our own in many respects, while also having dramatic shifts in culture that seem to have happened over the course of a couple of years—for me, there needed to be more distance in time to allow the cultural change to really take place, and even then, the culture wouldn’t exist in the kind of vacuum it seems to exist in. I didn’t like or empathize with any of the characters. The way the ending worked out wasn’t particularly satisfying, but I can’t really say anything about that because I don’t want to spoil it. It’s the year 2030 and there’s been a war which left a trail of orphans and chaos. That, in a nutshell, is the premise of the story—a dystopian novel that’ll definitely appeal to fans of the genre. Not so much for non-dystopian buffs. The plot development is a bit disorienting and the characterization somewhat strenuous as the book steers you through a maze of events that are both mystifying and far-fetched: a child is buried alive but manages to cheat death, some adults who become “Creators” (i.e. allowed to give birth) and state-approved “Guardians” (those who substitute biological parents) are the key figures in this new world. The portrayal of a dystopian society—in which the issue of parenting creates distrust and abuse of power—is hampered by a disconnect between the narrative and a reader’s perception. Pop the champagne cork! This is the first five-starred review I’ve done as part of the AIWAW project. I’ve been holding out for a super-sparkly, perfect book. The Buried Few isn’t perfect but it did something few books have managed recently; it lingered with me for hours and days after I read it. M. J. Lau is an English teacher by day and an author by night... or rather, a teacher day and night, and an author whenever he gets a free minute in between. His first novel, The Buried Few, is a work of near-future speculative fiction influenced in equal parts by dystopian classics, fatherhood, and Wired Magazine. Lau is currently working on his video game fantasy series, The Virtual Realms. The f M. J. Lau is an English teacher by day and an author by night... or rather, a teacher day and night, and an author whenever he gets a free minute in between. His first novel, The Buried Few, is a work of near-future speculative fiction influenced in equal parts by dystopian classics, fatherhood, and Wired Magazine.